Here's another update from some recent painting. 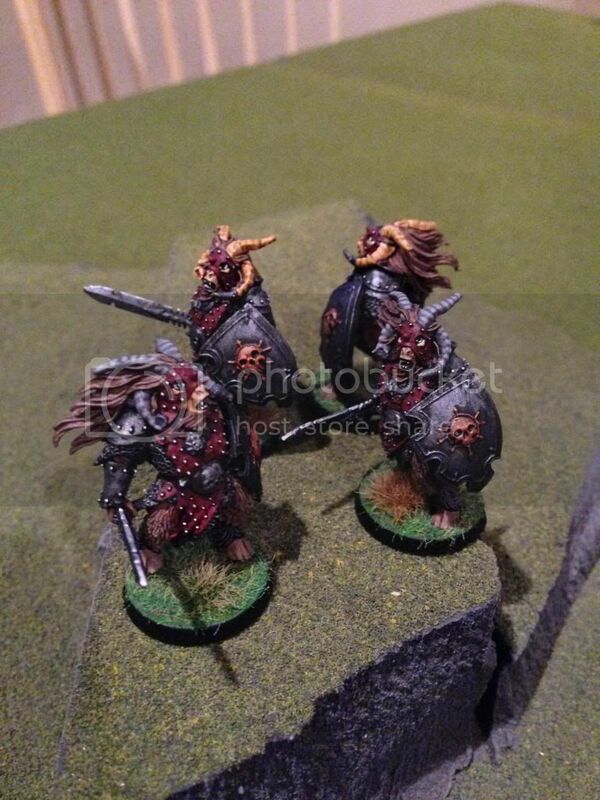 Beastlords converted to sword and shield. 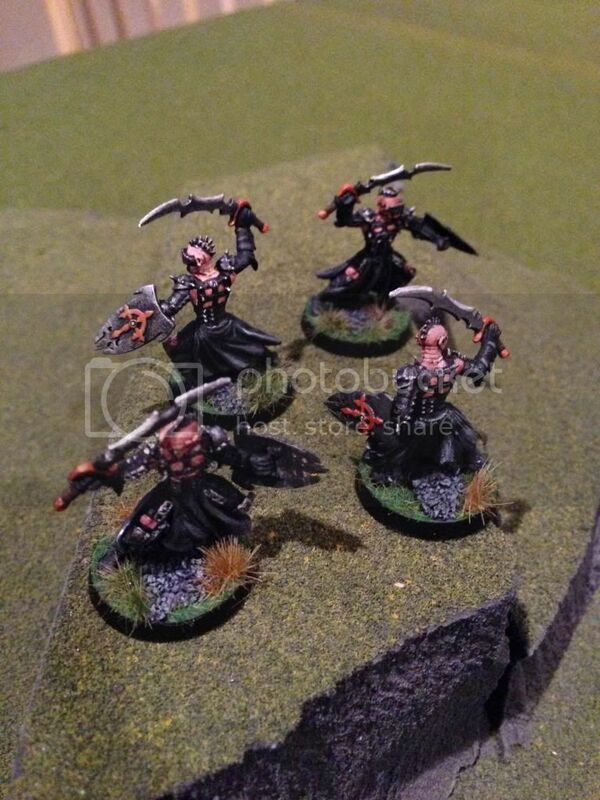 The completed blood hunter conversions with a leader. Are those mounts from Leviathan? The mounts are the Leviathan Dragonbane or Dragonbrood.Nice conversions too. You are correct, the mounts are Leviathan Dragon Brood. 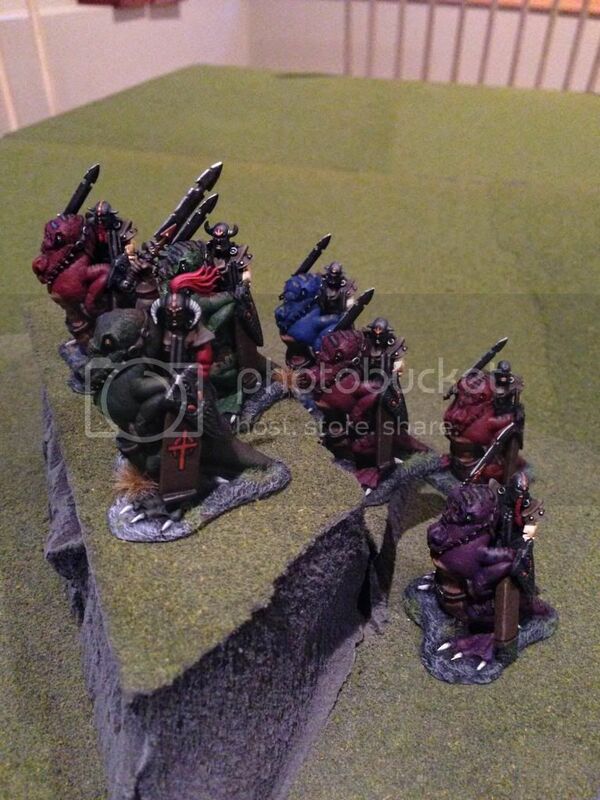 If you go back to the beginning of this thread, you can see some conversion pics. That was two years ago. Can't go back that far. Too much work.